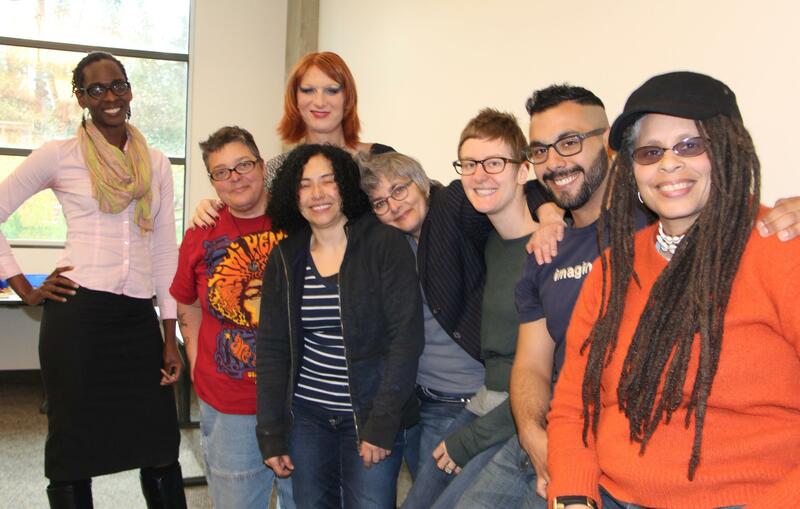 In April, our first group of 8 queer-identified individuals participated in a 4 day Digital Storytelling Workshop. We asked them to work hard and they stepped up to the task! By the end of the Workshop, they created scripts about important events in their lives, designed images and audio-tracks to enliven those scripts and recorded their own voices to narrate the story. The results are creative and powerful messages representing very personal experiences of queer lives. We are so grateful to our storytellers for sharing their powerful stories. We will screen all eight 4 minute videos at the Queering the History Museum Symposium on June 8th. Watch our website for future opportunities to view their stories in -person and online. Thank you to Lily Divine Productions, Angelica Macklin, Rebecca Simms and Ron Krabill for your support of this project. Big thanks to our Community Advisory Committee and the participants themselves. Pictured are our Digital Storytellers: Isis Asare, Mian Carvin, Margaret Elisabeth, Jacque Larrainzar, Fia Gibbs, Petra Davis, Caleb Hernandez and Jourdan Keith.